Winter vacations combining idyllic mountain towns and remote heli-skiing are hard to beat. Hotel Telluride has the hook-up with the two-night “Heli-of-a-trip” package that includes six heli-runs on powdery Silverton Mountain for only $2,699 for two people. 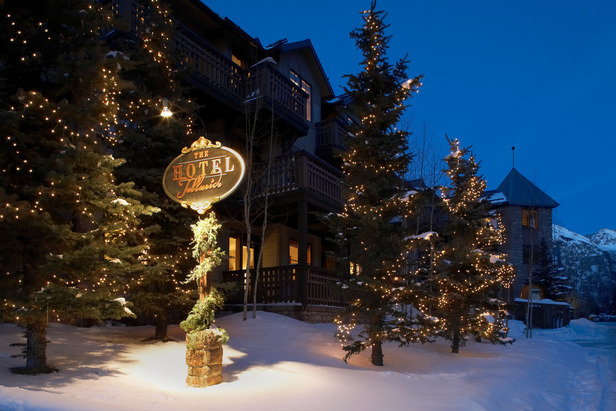 Located at the mouth of picturesque downtown Telluride, the hotel offers a Deluxe King room, daily breakfast, and two 50-minute spa treatments to start. But the highlight is a scenic two-hour drive through 13,000-foot peaks and over Red Mountain Pass on the way to a day of heli-heaven among 22,000 acres of skiable terrain in the San Juan Wilderness. For an expedited adventure, pay an extra $1,000 for helicopter transport to and from Silverton. Book before December 31 via email at aacosta@destinationhotels.com. The deal runs from December 1–April 6.